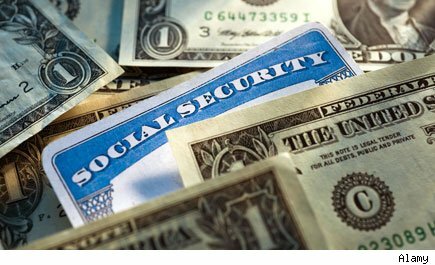 An arcane change to the way Social Security's annual Cost of Living Adjustments, or COLAs, are calculated may be part of a deficit reduction deal between President Barack Obama and Congress. The revision, known as the "chained CPI," could cut the size of Social Security recipients' benefits starting in 2014. You could feel a financial pinch if COLAs get tweaked this way, especially if you're fortunate enough to live for decades in retirement. This calculation is designed to be "a closer approximation to a cost-of-living index than other CPI measures," according to the U.S. Bureau of Labor Statistics, which does not endorse one inflation measure over another because "different users have different needs." Translation: Social Security's cost-of-living adjustments with the Chained CPI would reflect a lower inflation rate than the current CPI-W calculations. The National Women's Law Center, which opposes moving to the chained CPI because it will reduce future benefits, based on forecasts by Social Security economists. For example, a 65-year-old woman retiring after a lifetime of average earnings could see an 8 percent benefit cut by age 90, compared to what she would receive with the current inflation measure. Switching to the chained CPI would be "especially painful for women," says a National Women's Law Center report, because they have longer life expectancies than men, rely more on income from Social Security and are "already more economically vulnerable." Women receive Social Security benefits three years and eight months longer than men, on average, according to the Social Security Administration.